SlateTec respands: S1 Grade Natural Roofing Slate is not affected by temperature in any way. Also, natural slate roofs are indeed walkable, as they have been for hundreds of years. 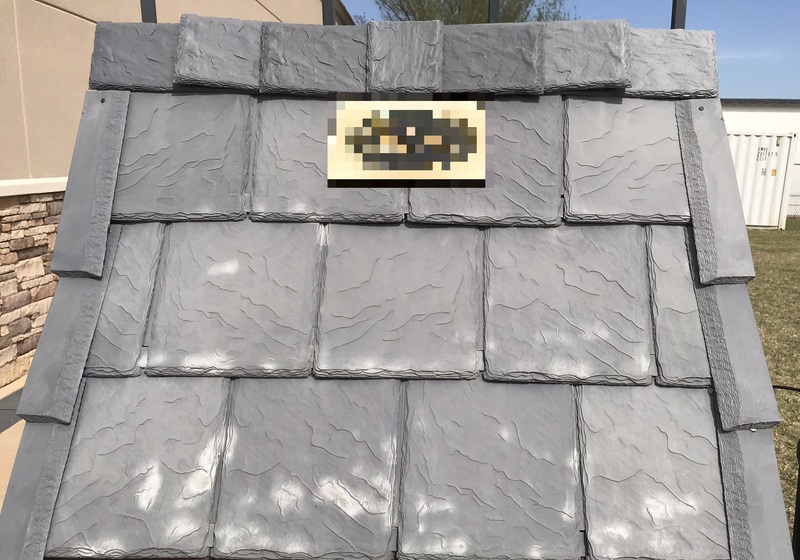 This is simply a way for synthetic slate manufacturers to draw attention away from the fact that their product will bend and curl in certain conditions. -A SlateTec Genuine Slate Roof weighs less than six pounds per square foot! So no additional structural engineering is required. -Our Slate Roofs are equal in form and function to that of a traditional slate roof installation. We cut roof weight, we don’t cut corners. -The SlateTec Patented Interlayment is weaved into every course of slate creating a powerful leak barrier. This provides protection from leaks even if a piece of slate is missing. -Our Lightweight System is easy to install and requires no special training or certificates. You can use a roofer of your choice or we can help you find one. Do not settle for anything but the best when it comes to your home. Our design team can accommodate any custom or standard roofing project. Call us anytime with questions and to discuss your project. We will help you choose from the many slate colors and styles to build the perfect roof for your project. Fill out our free consultation form here, or contact us directly at 1-855-752-8383.